Lower the Time and Money You Spend on Completing Software Projects. Aiding Businesses to Implement Software Solutions Effectively. In today’s highly competitive environment, businesses must modernize their companies to either minimize costs in their operations, maximize efficiency, or improve customer service. All while tracking and maintaining a balanced and predictable ROI. Automating either of these areas through software allows businesses to immediately stay competitive or even gain market share by rising to market leader in the area they automated. Business Process Automation (BPA) through software solutions is demanded in Fortune 500 and Inc 500 companies and recommended for Small Businesses or Starting Businesses. CLIENTS WHO INVESTED IN THEIR FUTURE. Today we we have the honor to participate as Client-Partners with businesses in South Florida, California, New York, Colombia, Dubai, and London. Please contact us regarding case studies of each of our clients. WHAT AREA IN YOUR BUSINESS SLOWS YOU DOWN THE MOST? Service based industries struggle in growth when they can not manage their scalability. The easiest way automate the management of each project. The power in information is truly in how opportune it is. Take advantage of opportunities for your business at the right time. Most sales funnels suffer from the fact that once can not easily manage leads. With automated software, always feel in control. Scale your solution without fear of crashing due to the fact you were not informed you had limits on your hosted software. Do not allow any negative feedback to be overlooked. By allowing a customer to be assisted instantly can have the biggest impact on your growth. Have the power to manage how you reach your leads and what you will do with the information once you have it in a database. Sometimes it is about Creating , not automating. Innovation is welcomed, come on in. 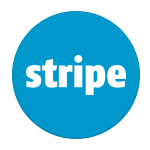 Stripe is a service that allows users to accept payments online, specifically developers. With the Stripe application, users can keep track of payments, search past payments, create recurring charges, and keep track of customers. The Stripe API allows developers to access the functionality of Stripe. Some example API methods include sending invoices, accepting payments, managing subscription billing, and editing and managing account information. 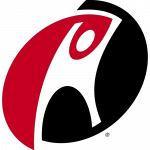 Rackspace CDN (content Delivery Network) gives individuals the power to accelerate content on any public resource at Rackspace. The Rackspace CDN API lets developers integrate its service with their applications; this API is REST based, and uses token-based authentication system. 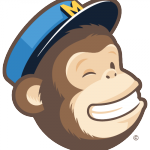 Sync campaign stats and subscriber information between MailChimp and your database. This helps you download a list of unsubscribes to clean your inhouse lists, build client portals and pull campaign stats from MailChimp if you send emails on behalf of clients, aggregate and compile campaign stats, send "we also recommend this..." campaigns, and pass account status data to MailChimp so that only active members get your emails. The Facebook API is a platform for building applications that are available to the members of the social network of Facebook. The API allows applications to use the social connections and profile information to make applications more involving, and to publish activities to the news feed and profile pages of Facebook, subject to individual users privacy settings. With the API, users can add social context to their applications by utilizing profile, friend, Page, group, photo, and event data. The API uses RESTful protocol and responses are localized and in XML format. 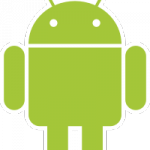 This entry was posted in Announcements, Company News, Mobile Apps and tagged boca raton soccer, indoor soccer app, inhouse soccer, soccer app on February 2, 2015 by admin_hashtag. Boca Raton Soccer has improved thanks to INHOUSE Soccer’s latest Indoor Soccer State of the Art facility and their attempt to integrate Technology and Soccer in Boca Raton. As of January 2015 Hashtag Applications has pushed to publish the first Indoor Soccer iOS Application that not only allows INHOUSE to manage their facility, but to also to Keep Reading .. This entry was posted in Announcements on January 26, 2015 by admin_hashtag. Now you see it, now you don’t. Google has closed its Google Glass Explorer program. There is now no way to buy the trend-setting wearable device. What’s going on? It was going to be the Next Big Thing. Now the tech giant has withdrawn Google Glass from sale. It seems it is just not ready Keep Reading .. This entry was posted in Announcements and tagged ipad, iPhone, mobile on January 19, 2015 by admin_hashtag. We want to congratulate Surtiquimicos, one of our first clients, on their very successful acquisition last year. Official Brenntag Press Release: Brenntag, the global market leader in chemical distribution, has agreed to acquire SurtiQuímicos S.A., a distributor of specialty chemicals headquartered in Bogotá, Colombia. The company operates with facilities in Bogotá and Medellín. Main business focus Keep Reading ..